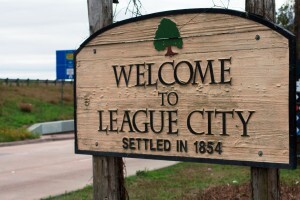 Our League City SEO services team can increase traffic to your website. We specialize in helping you get found online and grow your business offline. All businesses in League City, TX would benefit from better search engine rankings and engaging web content. No matter how sharp and modern your website may look, search engine optimization is essential to online marketing. Web bots and crawlers for search engines won’t place your site in their listings if your website doesn’t have optimized, search engine friendly content. Houston Web Design Agency uses strategic web design services to develop eye-catching layouts with conversion-focused content and link-building services. Our SEO marketing experts in League City will research and analyze data specific to your website, industry, and competition to create the best content possible for driving traffic to your website. A well-developed web content strategy is the key to achieving top rankings with search engines. Houston Web Design Agency will optimize your website for major search engines, ensuring that consumers searching for your product or services will find your first. Let’s say you want to take your family to dinner and you navigate to one of the popular search engines like Google to type in the phrase “restaurants in League City TX.” The websites that show up at the top of your search results page are the restaurants whose websites have been optimized by a League City SEO agency for the keywords you entered. Restaurants that are not optimized for those keywords are less likely to rank high in the search results and most won’t even show up on the first page, if at all. Search engine optimized websites make a big difference when consumers are choosing between your company or a competitor. Don’t let that happen to you: optimize your website with the help of an experienced League City SEO Company. In fact, almost 100 million Americans use a search engine every day to find information about a product or service on the web. Most people are looking to buy local products and services and are looking to purchase the same day or within 24 hours. The Yellow Pages, local newspapers, magazines, radio, TV and other “traditional” marketing tactics are phasing out with today’s Internet-savvy and mobile users. If your business is not online and your website is not at the top of search engine listings for your most important keywords than you are probably missing out on quality leads and, more importantly, sales. Maintaining and improving your search engine ranking each month and adjusting web page content when needed. Our professional League City SEO services will make it happen. We love to help businesses get found online. Call 800-440-6190 today or fill out our form below to setup a complimentary website review and consultation.